In just one year missing teen Dylon Clarke will be pronounced dead by the court. Yet, will he reach out from the grave to finger a murder suspect? 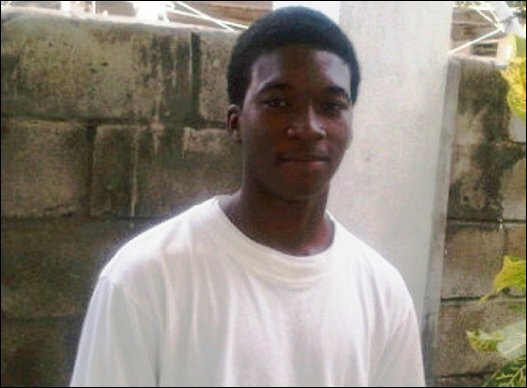 Clarke, who was just 17 years in 2012, will be missing for six years on April 28 when he will be declared legally deceased. It is alleged that Clarke was a witness to the 2011 murder of Zamique Heyliger in Charlestown on Christmas Eve night and submitted a written statement to police..
Cane Gardener resident Patrick Howell Jr., who was a juvenile, was subsequently charged with Heyligers death. Clarkes statement was handed over to the suspects lawyer. Days after being charged Howelll was released on bail. The details and conditions of his bail were never made public. The Observer understands that Clarkes statement cannot be used in court under the Evidence Act of 2012. According to police sources Dylons statement could only be used if he isproven or presumed dead. And the contents of the statement will remain sealed from public knowledge. The Observer questioned the Director of Public Prosecution Valston Graham as to what will happen after the seven year period. He said he was unable to answer as he has not seen the file as yet, but will look into it and get back to the Observer. In May 2012 two United States Virgin Island Police Tactical Unit officers from the K9 department arrived on Nevis with their cadaver dog. The then Assistant Commissioner of Police Robert Liburd confirmed that the dog detected the scent of a dead body in a field at a Cane Gardener residence. The dog alerted police twice to the scent of human decomposition on said property but nobody was ever found in that location. Meanwhile, the search for Clarke ended in four months. Clarke still holds to the notion her son was murdered the same night he went missing. If my son was alive I would have gotten some news from him somehow, she said. After Six years Clarke says she has no answers. My mind is always on him I want to know what happened to my son, but if I cant get the answer I cant do anything, she said. Clarke said after her son is officially pronounced dead next year she plans to hold a memorial for him.